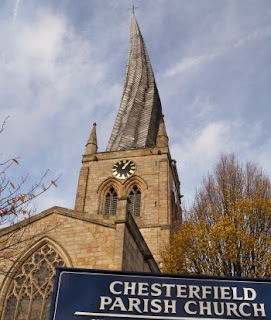 CHRISTIANS TOGETHER FOR CHESTERFIELD: SO WHAT ABOUT THE CHURCH OF ENGLAND? questions and discussion, finishing around 9.00 p.m.
Sarah has had a distinguished career in the diplomatic service, and since ordination has been among other things research adviser to the previous and current Archbishop of Cape Town. Sarah is part of the worldwide Anglican Communion’s Standing Commission that advises on matters of theology, doctrine and church order, and convenes its working group on relations with other churches. Sarah is currently the Vicar of the City of Cardiff. Andrew is the Dean of Southwark, where he is foremost in taking on issues of race, sexuality and other matters of diversity within the Church and its outreach. Bishop Steven is the Bishop of our neighbouring city, Sheffield. Bishop Steven was the first Team Leader of Fresh Expressions and also Archbishops’ Missioner. He is currently heavily involved in the present Archbishops’ Reform and Renewal initiative, upon which much of the future shape of the Church of England depends. Richard is the ex-Communard who celebrates this year his tenth year of ordination. He appears regularly on Radio 4 in his own programme as well as Pause for Thought on Radio 2. Other highlights of his media career include last year’s title of Celebrity Mastermind. Fathomless Riches, the first volume of his memoirs, is a bestseller. Richard is the Rector of Finedon in Northamptonshire.